We would love for you to be a part of what God is doing at Christ The King International Ministries (CKIM) here in Oakland. Whether you are stepping foot in a Church for the first time or for the first time in a long time or attempting to find a place that is innovative and transformational, you are welcome here just as you are. If you have any questions, please do not hesitate to contact us. We hope you stop by so that we can worship with you. "Royal Kids Youth Ministry" held in the Kid’s Upper Room for children ages 2 – 5th grade. It is our desire to create disciple to transform communities by first impacting individuals and families which will then impact communities. We do this through reaching people and teaching them and sending them to reach, teach, and disciple others by equipping each believer for the ministry of reconciliation. Our mission is to lead others to love, live and become transformational Christians in this generation. If you are new to CKIM or maybe you have been coming for a while and really like this church! You may be asking, "How do I get involved?, How do I get connected?, How do I become a member?". We want to help you find answers to your questions and take your next steps into a deeper relationship with Christ and becoming a member at CKIM.  Christ The King International Ministries (CKIM) is a place where you can belong and mature and grow in Christ. The Bible says that where we are planted, there we will flourish. If you decide to plant yourself at CKIM Pastor Marcus will meet with you to discuss our mission, vision and how to get involved. CKIM has an educational curriculum where you will be able to grow in God’s Word and understand the difference in the call on your life and God's calling for His Church. Our educational series is progressive and brings an understanding how the call, your calling and discipleship work together to build God's Kingdom. You will be able to grow in faith, gifts, and influence by knowing your strengths. You can become involved in the spiritual curriculum of your choosing to move forward in discipleship and grow in your relationship with Christ. God gives gifts unconditionally, but He does not give them without intention. His intention is that we would bring our gifts to the house of God and move out into the community where we as individuals, families, and a body can Make An Impact through CKIM. If you are interested in joining or learning about our ministry teams, please sign-up for one of our Make An Impact Classes.